The Knicks continue to be average, which is great!!! We are now five weeks into the NBA season and the Knicks have still not bottomed out. They went 2-1 last week and remain two games over .500. They have a couple of winnable games this week, but the schedule gets a lot tougher this week for the Knicks as they start playing more road games. The Knicks need to continue on this pace in order to survive the tough stretch of their schedule and playoffs will be on the horizon for them. The Knicks had a comeback win against the Jazz last Wednesday after keeping the game close but surviving in the end. The team was led by Tim Hardaway Jr., who had 26 points and joined by Kristaps Porzingis, who had 22 points. Porzingis is the key to the Knicks success, because whenever he has a bad game, the Knicks usually lose the game. Porzingis did not have a good game on Friday night, which resulted them in losing in blow out fashion to the Raptors. The Raptors are one of the best teams in the Eastern Conference and that game was sort of a benchmark game for the Knicks. They are still far from the Raptors and need to get better to be on the same playing field as the elite teams in the Eastern Conference. 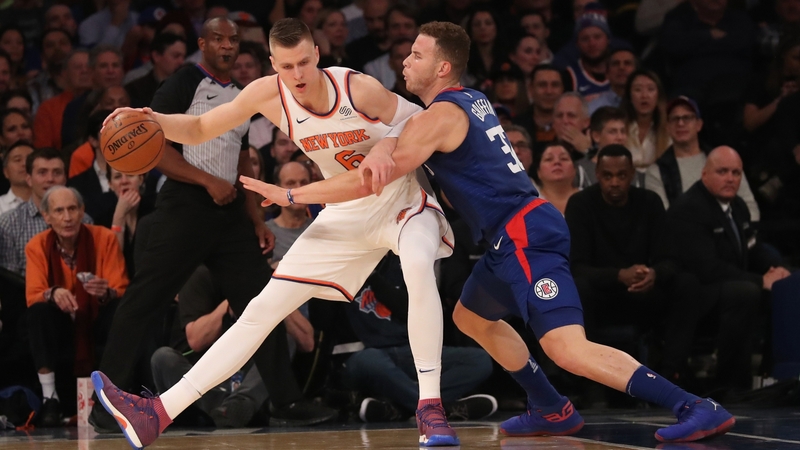 The Knicks took on the lowly Clippers on Monday night but had a really rough start to the game, they were losing by eight points to one of the worst teams in the NBA. Head Coach Jeff Hornacek called a time out with the Knicks down eight, and apparently yelled at the players, which the players took to heart. The Knicks went on a 19-0 run following the time out and they ran away with the game, winning by 22 points. The win against the Clippers showed that the players respect Hornacek, which was an issue that resulted in their failures last season. I think the players know that Phil Jackson is not forcing Hornacek to run the triangle and whatever he is saying, he really believes. Though the Knicks are not yet close to being good, but they are bonding as a team and believe in the coaching staff thus laying the foundation for a great team. They need to acquire a couple of more good players to go with Porzingis and they will be perennial playoff contenders in the East for the next decade. The Knicks take on the Raptors, the Hawks, the Rockets, and the Trail Blazers this week and I would expect them to go 2-2. The Raptors are going to be a tough game for the Knicks and I would be SURPRISED if they are able to pull off the upset against them, but thankfully they get to play the Hawks following Thanksgiving day. The Hawks are one of the worst teams in the NBA and the Knicks should run away with a win in that game. The Knicks will get blown out by the Rockets but they will bounce back against the Trail Blazers at home. The Knicks need to keep roaming around .500 and with how bad the East is, they should be able to make the Playoffs. The Knicks are one of the surprises of the season and if they win just HALF of their games, then they will continue to be a big surprise.